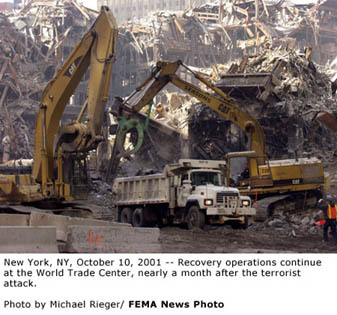 Bulldozers and other heavy equipment working 24 hrs a day, clearing up the debris from the fall of the World Trade Center Towers. What a mess. But, we are determined to clean it up and start all over again.